Fox News co-president Bill Shine is out at the network, the latest casualty in the scandal that has plagued Fox News and its parent company 21st Century Fox since last summer. Shine's departure was announced Monday. The network said he resigned. "This is a significant day for all at Fox News," Rupert Murdoch, the executive chairman of 21st Century Fox, said in a statement announcing Shine's resignation. "Bill has played a huge role in building Fox News to its present position as the nation's biggest and most important cable channel in the history of the industry. His contribution to our channel and our country will resonate for many years." Shine, who had been with Fox since its inception in 1996, was a right-hand man to former Fox News chief Roger Ailes. He was promoted to co-president last summer after Ailes was forced out amid a sexual harassment scandal. Ever since then, questions have swirled about how much Shine knew about the allegations against Ailes. 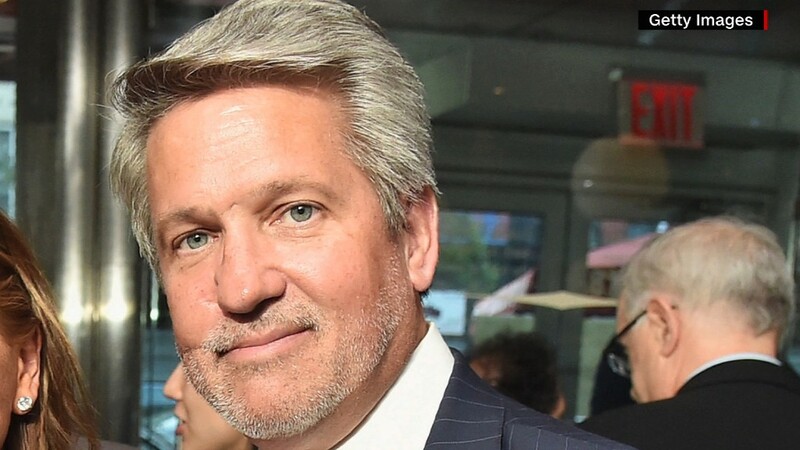 Related from last week: Fox News' critics ask: Is Bill Shine the Man Who Knew Too Much? No one has accused Shine of harassing behavior -- but some ex-employees have accused him of covering up the alleged wrongdoings of others. Shine has been named in at least four lawsuits or allegations related to alleged sexual harassment or racial discrimination at the network. That's partly why he was seen as Fox's most vulnerable player, especially after 8 p.m. host Bill O'Reilly parted ways with the network late last month. Under increasing scrutiny, Shine's future at the network became a public question, and one of the network's biggest stars, 10 p.m. host Sean Hannity, even tweeted about it last week. After Ailes biographer Gabriel Sherman reported that Shine was "on edge about his job," Hannity wrote, "I pray this is NOT true because if it is, that's the total end of the FNC as we know it. Done." Hannity also posted a hashtag: #IStandWithShine. On Monday evening, Hannity said he was not, contrary to some rumors, negotiating for an exit from Fox News. He also hinted that he may address Shine's departure on his show. "If I have anything to say about Fox News I will say it tonight at 10 [p.m.] EST," he tweeted. The other co-president of Fox News, Jack Abernethy, will remain in that position, Murdoch said Monday afternoon. Suzanne Scott, currently an executive vice president, will take on some of Shine's duties with a new title, president of programming, overseeing opinion shows like "The Five" and "Hannity." Jay Wallace will do the same thing on the news side as president of news. Both Scott and Wallace have been with Fox News since its inception -- which means they, too, worked closely with Ailes for two decades. In a statement, Murdoch praised the pair as "recognized industry leaders" who have "both played a large part in assembling the deepest bench of talented broadcasters and journalists." Murdoch said "they will lead Fox News to an even more successful future." But if Shine was ultimately undone by the suggestions that he was too associated with the old guard and its alleged misdeeds, then Scott may too find issues ahead. Scott's name is mentioned in Roginsky's lawsuit accusing Ailes of sexual harassment. Among other things, Roginsky accused Scott of recruiting Fox employees to criticize Gretchen Carlson on behalf of Ailes. Through a Fox News spokesperson, Scott said she "never asked any women at Fox News -- on-air or off -- to support Roger Ailes." Fox's ratings have remained sky-high recently even as the network has been beset by scandals and personnel problems. "This is not really very sophisticated management," Washington Post media critic Erik Wemple said on CNN's "Reliable Sources" Sunday. "You know, if you have a rotten, corrupt network, which Fox is, and you have these problems, then you probably wanted to clean house once, not twice," Wemple added. Concerns about the culture inside the network could have bigger implications for its parent company. Shine's resignation comes as the Murdochs seek to acquire full ownership of Sky, the powerful British satellite and cable network. Under British regulatory standards, the Murdochs are required to demonstrate that they are "fit and proper" media owners -- a qualification threatened by the scandals that have been engulfing Fox for nearly a year now. The shakeup came on the same day that Fox is launching two new shows. "Fox News Specialists," co-hosted by Eric Bolling, Kat Timpf and Eboni K. Williams, is scheduled to replace "The Five" at 5 p.m. ET, and "The Story," a rebranded version of Martha MacCallum's show "The First 100 Days," is set to debut at 7 p.m. Shine's departure also came only hours after Fox News was hit by another lawsuit from a reporter alleging gender discrimination, and 30 days after the New York Times reported on settlements paid to five women who accused O'Reilly of sexual harassment and inappropriate behavior. -- CNN's Oliver Darcy and Tom Kludt contributed reporting.